After a winter hibernation, Chris, Matt and Ian have a backlog of questions and a lot to cover in advance of the staff trip to Fort Myers. It's Spring Training at last. Many recent top Sox Prospects are in Arizona with the Padres or the White Sox. The time has come to survey the state of the system and some of the Non-Roster Invitees to camp. Andrew Benintendi has bulked up. Rafael Devers is in Big League camp along with an interesting mix of post-prospects like Blake Swihart. The guys also review the AFL and discuss the players who were dealt this winter. Plus, Christopher Acosta is back. Listen in! The Red Sox began playing games on Thursday, opening up with Northeastern. On Friday, Grapefruit League action got underway. This is the second edition of the Fort Report, and we will quickly be moving to two editions per week. The next Report will be coming in one week's time. Baseball is officially back. Including their game against Northeastern, the Red Sox have played four games so far, with minor leaguers getting plenty of action. Right-hander Ben Taylor has stood out so far, tossing 2 1/3 innings without allowing a run, a hit, or a walk to go along with five strikeouts. 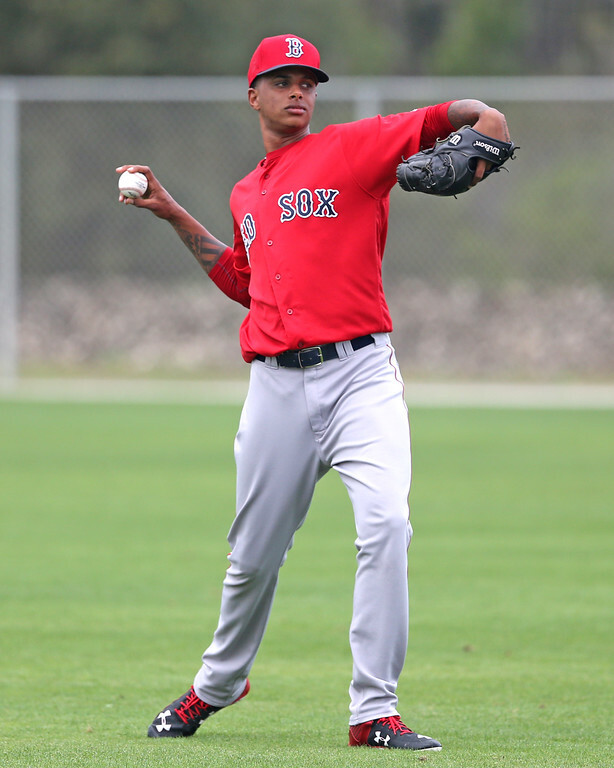 Jamie Callahan, Luis Ysla, and Ty Buttrey also saw action on the mound Sunday against Tampa Bay. 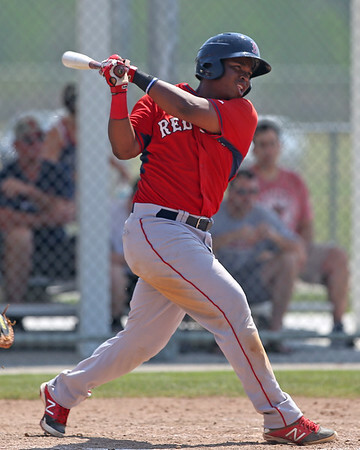 Rafael Devers, Marco Hernandez, Jordan Procyshen, Cole Sturgeon, Nick Longhi, Heiker Meneses, and Kyri Washington also got in the game against the Rays, with Sturgeon poking a two-run single to left. Hernandez roped a triple off the right field fence against a left-hander on Sunday as well. He will be a very important depth piece for the Red Sox in 2017. Newly acquired right-handed pitcher Hector Velazquez got the start on Sunday, allowing one run in two innings while striking out four. Jen McCaffrey of MassLive.com writes that six members of the Red Sox front office were there to watch Velazquez pitch. Velazquez is a candidate to help out the rotation in Pawtucket this year. The Red Sox first full team workout was February 17th and that signals the return of the Fort Report. Next week we will have the second edition of the Fort Report on Monday, and the week following we will begin a new schedule for this season with twice-weekly editions of the Fort Report, with one coming out Monday and one on Thursday. 20-year-old righty Christopher Acosta (pictured, right) was placed on the restricted list last year and did not pitch a single inning. 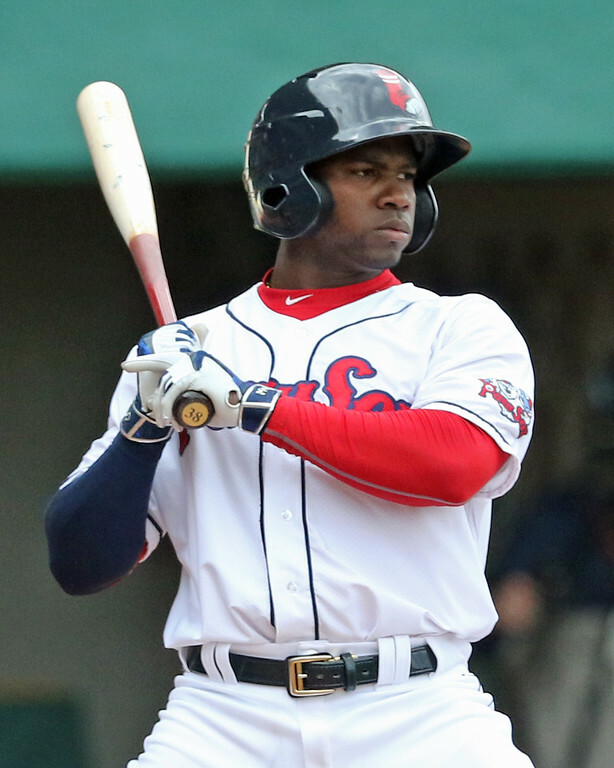 His status coming into 2017 was very much up in the air, but sources have confirmed to SoxProspects.com's Executive Editor Chris Hatfield that Acosta has reported to the Red Sox camp in the Dominican Republic. Acosta was once a top 20 prospect, and his return is a welcome addition to the system after the departure of a huge number of prospects who have either graduated or been traded. It is rankings season again and the Red Sox prove to be a tough team to nail down. They have a clear top four prospects (Andrew Benintendi, Rafael Devers, Jason Groome, and Sam Travis) but after that, there is a steep drop and little consensus. MLB Pipeline released their Red Sox organization rankings in two parts: The list of their top 30 prospects as well as a breakdown of the system overall. One area where there seems to be some consensus is regarding the best overall prospect in baseball - Red Sox outfielder Andrew Benintendi. He topped the MLB Pipeline Top 100, beating out former teammate Yoan Moncada, who came in second. Devers (17) and Groome (41) also made the list. A handful of ex-Red Sox prospects who made the list, including Moncada, Michael Kopech, Manuel Margot, and Anderson Espinoza, who all cracked the top 25. This week's roundup covers play for the period of February 6-12. For the full list of Red Sox players who participated in offseason action, check out our Fall and Winter Leagues page. Note that this will be the last roundup of the offseason. You will be able to find further updates in our regular offseason notes columns. Nineteen-year-old right-handed pitcher Christopher Acosta has reported to the Red Sox Dominican Academy and is working out with many of the organization's other young international players, sources confirm. Acosta, a former top-20 prospect in the SoxProspects.com rankings, did not pitch last season after being placed on the restricted list in June. It is unclear what the plan will be for Acosta going forward, and sources would not confirm whether there is one at this time. According to a report last June by Alex Speier of the Boston Globe, Acosta got in trouble during extended spring training in Fort Myers and left Florida for the Dominican without permission, resulting in the team placing him on the restricted list—in other words, suspending him. After returning to the Dominican, he did not report to the Dominican Academy as directed, and he missed the rest of the 2016 season. By announcing a single Dominican Summer League coaching staff, the Red Sox effectively confirmed that the organization will field only one DSL squad this year after fielding two for the past two seasons. With the team prohibited from signing any international free agents for the 2016-17 period, this was an unsurprising announcement. The team will be managed by 26-year-old Aly Gonzalez. 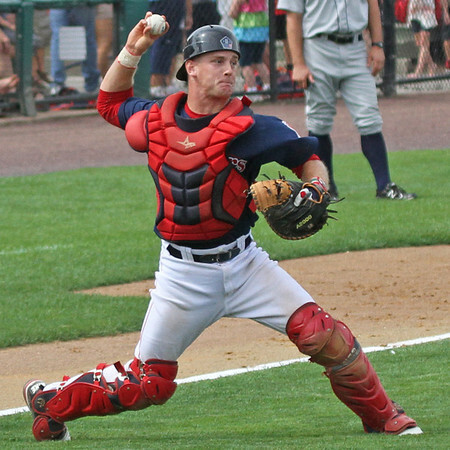 Gonzalez played for the Red Sox DSL affiliate from 2009 to 2011 and has coached there the past five seasons. Carlos Coste, a catcher in the organization from 2011 to 2015, joins the staff as catching coach. Here is a recap of recent action in Fall and Winter leagues. For the full list of Red Sox prospects participating in these leagues, check out our Fall & Winter Leagues page, which will be updated continuously through the offseason. This edition of the roundup covers the period of January 23 - January 31. The Caribbean winter leagues wrapped up their seasons over the past week-plus, and the winners from the winter circuits in Puerto Rico, the Dominican Republic, Mexico, and Venezuela, as well as the champion of Cuba's Serie Nacional, competing in the tournament, this year held in Culiacan, Mexico. The tournament consists of a ten-game round-robin, followed by semifinals and finals, and will begin this evening. In Puerto Rico, the last game of the best-of-nine finals took place on Wednesday (the lone game last week), with Caguas beating Santurce 6-5 in 12 innings to take the series, 5-3. Both Red Sox players participating had strong performances, in this game as Christian Vazquez went 2 for 4 with a double and a walk before being replaced in the ninth inning. Rusney Castillo (pictured) helped Caguas grab the victory by going 2 for 6. 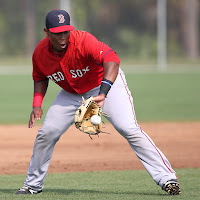 Castillo will be the lone Red Sox player to partake in the Caribbean Series by virtue of Caguas' victory.